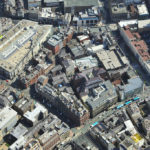 A team led by P-IE (Planit Intelligent Environments) has been chosen to deliver a Spatial Regeneration Framework (SRF) for the area around Mathew Street – home of the world famous music venues the Cavern Club and Eric’s. 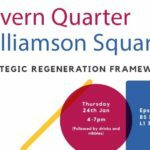 Also encompassing the adjacent Williamson Square area, the framework will enable the council to steer the future use of existing buildings and identify opportunities to attract new investment. P-IE, which has more than two decades experience working on some of the UK’s largest regeneration projects, will deploy their team – comprising urban designers; music historians; destination economists; space-programmers and Planners – to devise a spatial plan which will also embody a new vision document aimed at enhancing the quality of attractions in the area and expanding on the city’s £90m a year music heritage industry – focused around the Beatles – which currently supports over 2,000 jobs. P-IE’s previous work includes the Anfield SRF alongside the design and delivery of the restoration of Stanley Park and the public spaces surrounding Liverpool Football Club’s Anfield Stadium. Outside of Liverpool they were design lead for the award-winning Manchester Residential Quality Guidance and the city’s newest public square – Sadler’s Yard – at the heart of the Cooperative Group’s historic NOMA estate. They are currently involved in strategic and delivery projects across England, Wales and Northern Ireland. 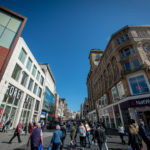 The report comes as figures show Liverpool’s hotel sector is also booming, with occupancy levels at record breaking levels, and the number of hotel rooms across the city set to grow by 14% to more than 9,300 over the next two years. 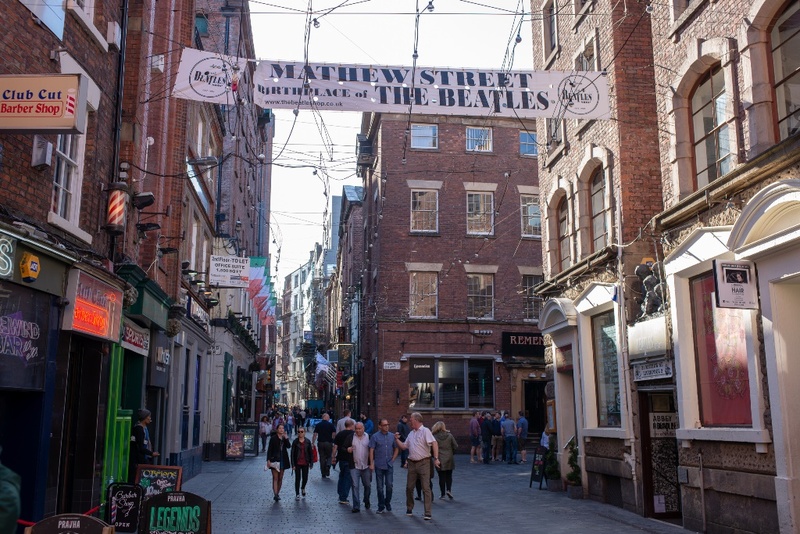 A recent economic impact report found that the city’s Beatles related industry has been growing at 5-15% a year following the city’s year as European Capital of Culture in 2008 with Cavern City Tours and the Cavern Club alone now attracting 800,000 visitors per annum and 80% of the Hard Day’s Night Hotel guests classed as international. 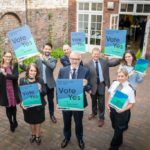 But a tourism report has found visitors are increasingly looking for a quality experiential visit and there is a clear need to curate not just a Beatles Heritage offer, but a clearer proposition around Liverpool’s status as a city with a pivotal role in the story of popular and contemporary music. “Liverpool’s musical heritage is known around the world but we can and must do more to showcase it to visitors who travel thousands of miles from all corners of the globe because of it. “This is about enhancing and expanding what we already have, particularly around Mathew Street which has been at the heart of the city’s music scene for decades, with venues such as Eric’s and the Iron Door being as influential as the Cavern Club. “This is a unique opportunity to establish an experience no other city can offer, with high quality design which will sustain thousands of jobs in the hotel, retail and hospitality sectors for generations to come. “Carl Jung famously said that Liverpool is the pool of life, and it is fitting that he is immortalized on Mathew Street, which has been the beating heart of the city’s music scene for generations. “Mathew Street is one of the city’s key assets and without doubt one of the world’s most iconic music heritage sites. “The Cavern Quarter sits within the Retail & Leisure BID. Our levy payers located there are determined to improve the visitor offer in the area and I know there has been a concerted effort over the years by the private sector to invest in projects and initiatives to achieve this. “We picked our team not just on their experience in producing design and planning guidance but on their knowledge and passion for Liverpool and its wider musical heritage. “We are local and global – as is the appeal of the Beatles and the immense cannon of Liverpool bands, singers and their music. For us then, this is no ordinary planning project, where we might focus on what a place will look like at the end, but rather how to control the journey along which Liverpool will showcase its rightful status as the most influential music city on the planet. Once the draft SRF is produced it would then be subject to a formal consultation period that will be undertaken over a period of six weeks in the new year. The feedback will influence the final draft of the document before the city council considers whether to formally adopt it. The P-IE led team includes Arup (Planners); Fourth Street Consulting (Destination Development and Economics); GVA (Property); Dave Pichilingi (Music History and event planning) and Rob Burns (Heritage). Liverpool City Council recently produced and endorsed an SRF for the Ten Streets Creativity District and is currently tendering the production of further SRF’s for the expansion of The Baltic Triangle and the Knowledge Quarter Gateway.